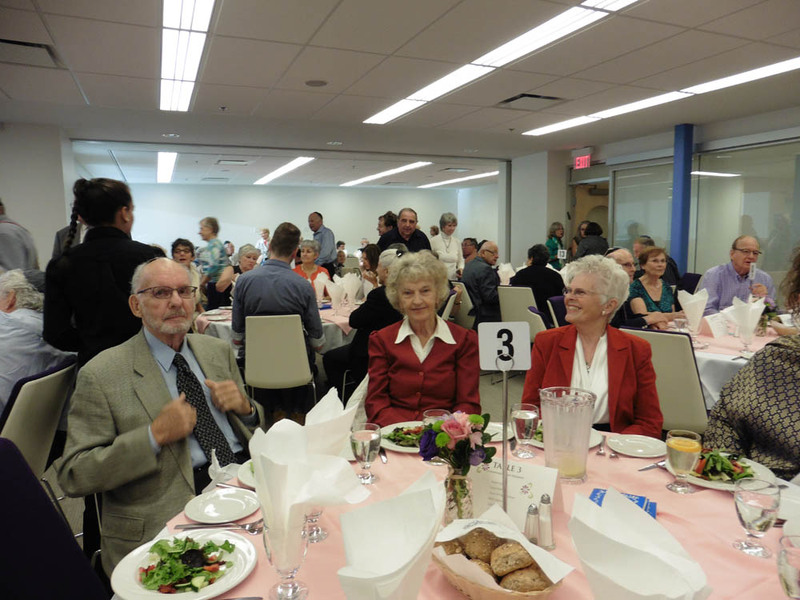 Watch the 2015 AGM Honouree Presentation created by Stan Shear. 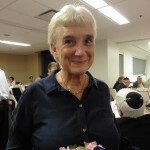 Irene Dodek: Perry Seidelman, President of Board of Directors, The Jewish Historical Society of BC/Jewish Museum and Archives of BC and ex–Principal of Talmud Torah High School, introduced Irene Dodek, nominated by the Jewish Museum and Archives of British Columbia where she has served as director for 24 years and has played an essential role in the 45 year history of the museum. 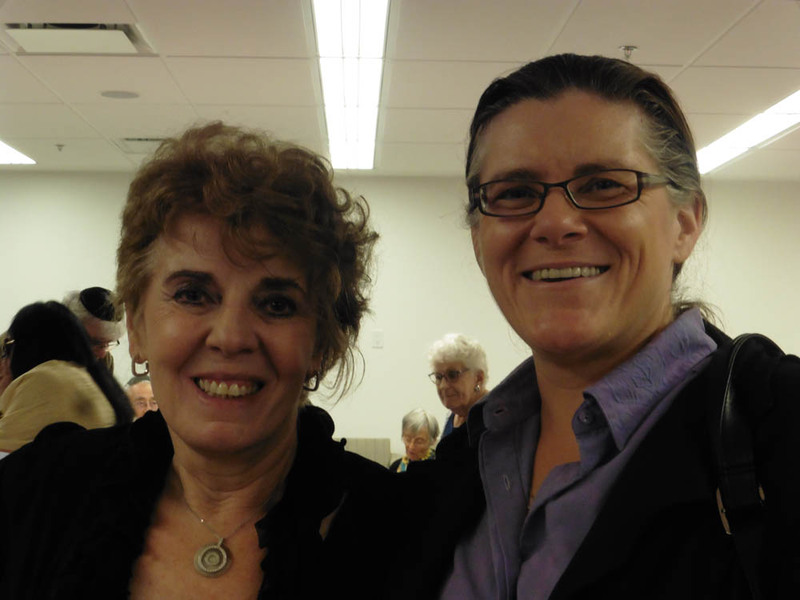 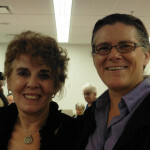 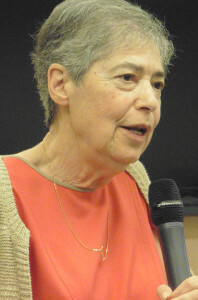 Dodek has recorded over 80 oral history interviews, as she feels each one us has a story to tell. 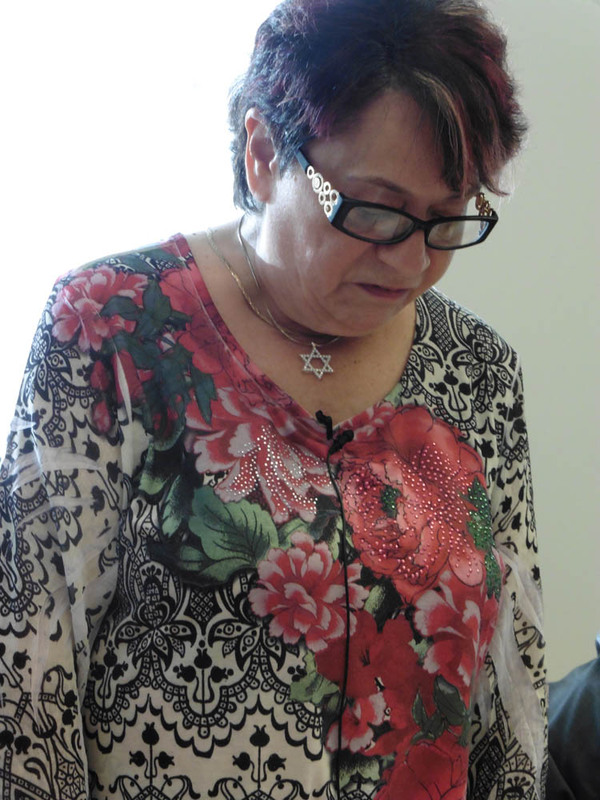 Upon receiving the certificate, Dodek, thanked the JSA for the work we do and her own society for the tribute they had paid her with this nomination. 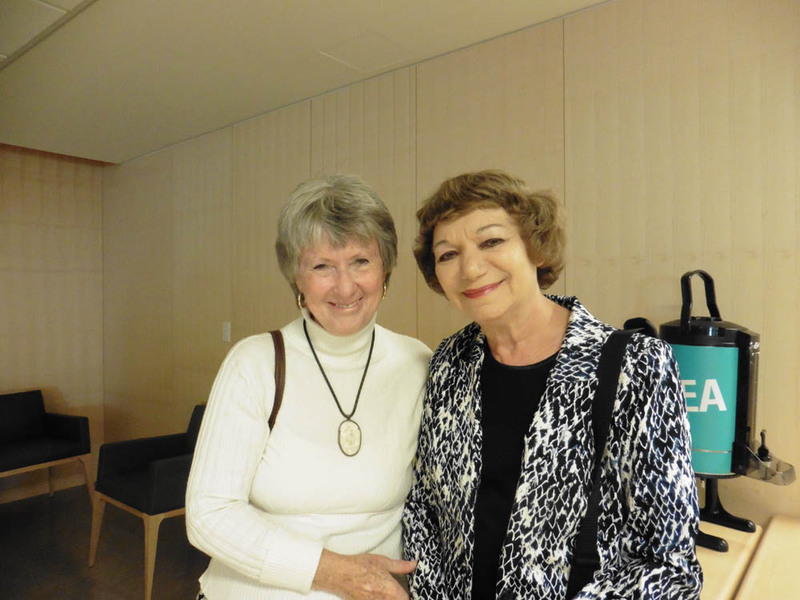 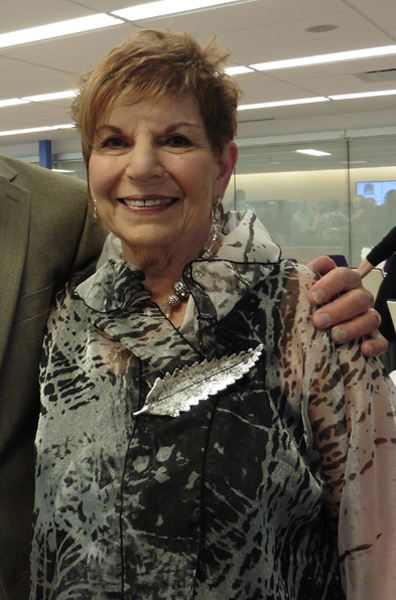 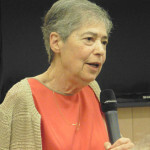 Cissie Eppel: Cynthia Ramsey, journalist and owner of The Jewish Independent, introduced her. 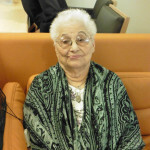 She said that although Cissie Eppel unfortunately couldn’t attend, her family was here representing her. 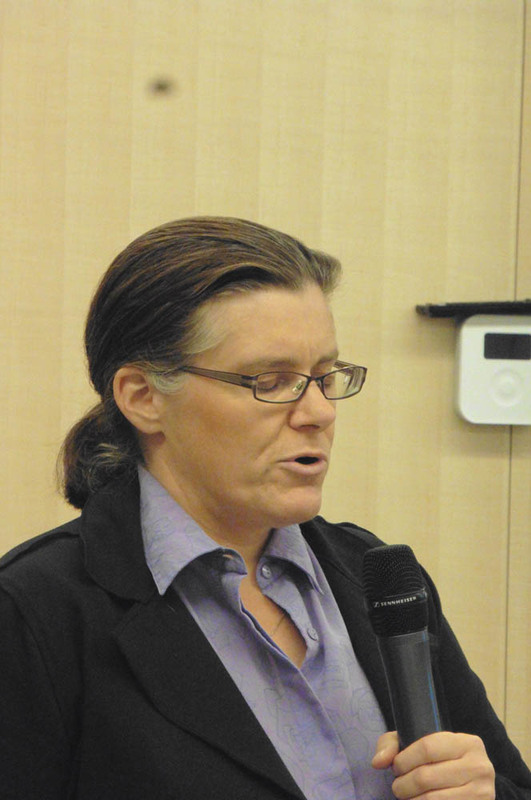 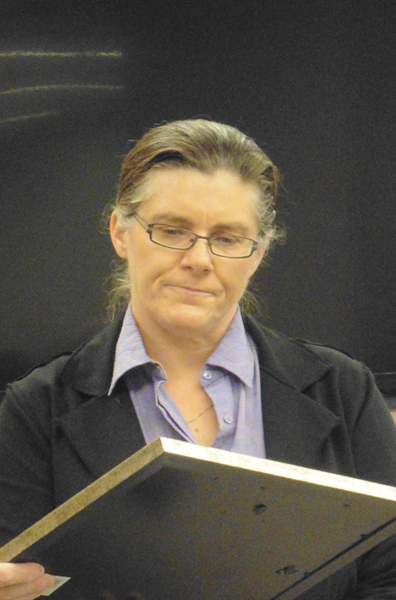 Ramsey quoted Eppel when she said ‘personal pasts have been allowed to recede and we mustn’t allow our own personal histories to recede into oblivion. 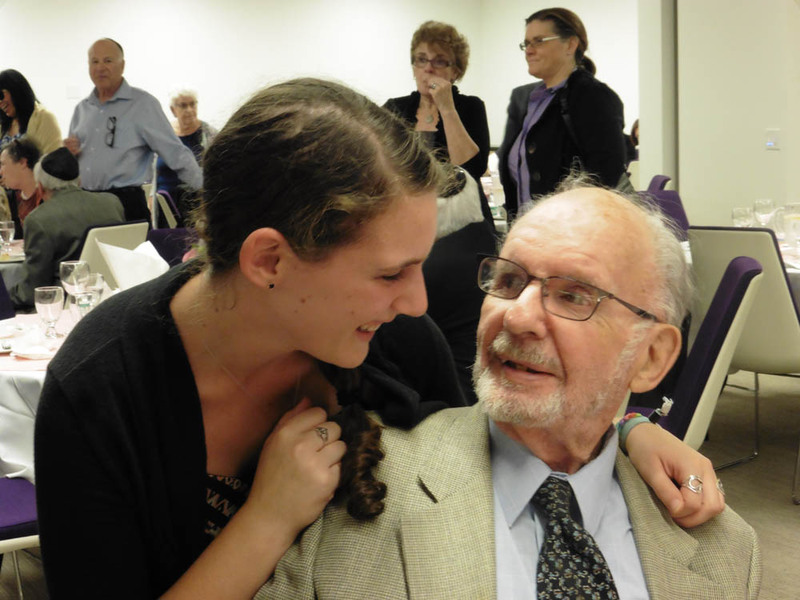 We are who we are-what we value and what our family history is. 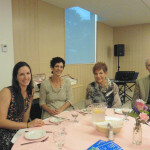 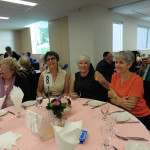 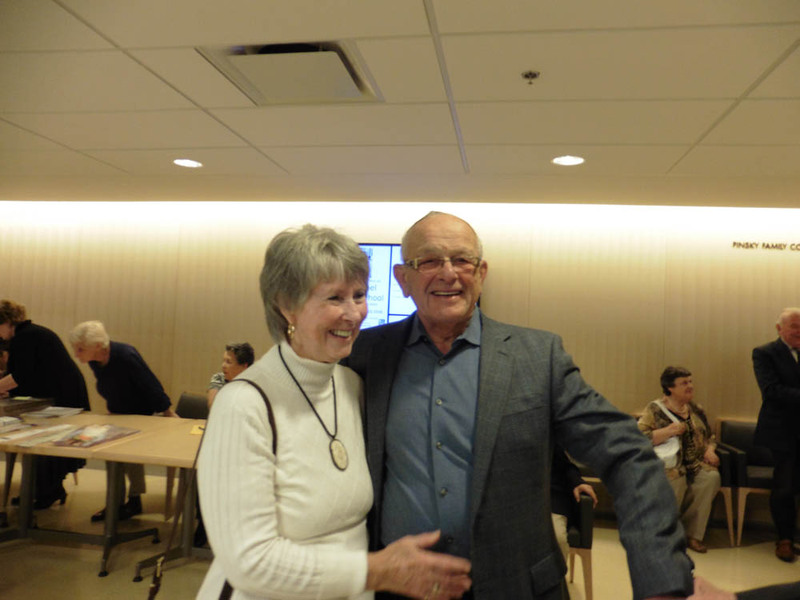 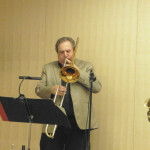 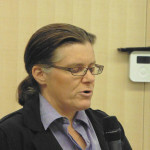 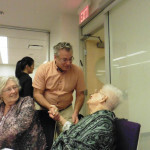 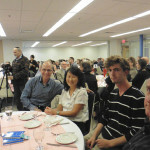 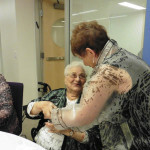 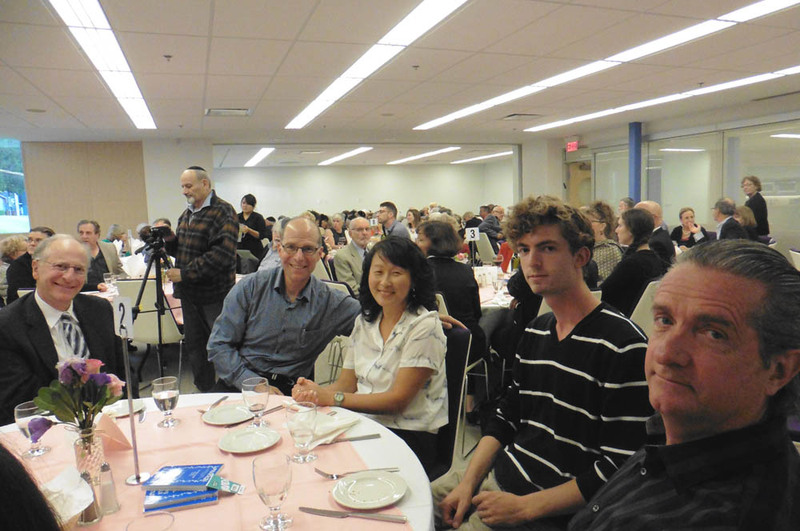 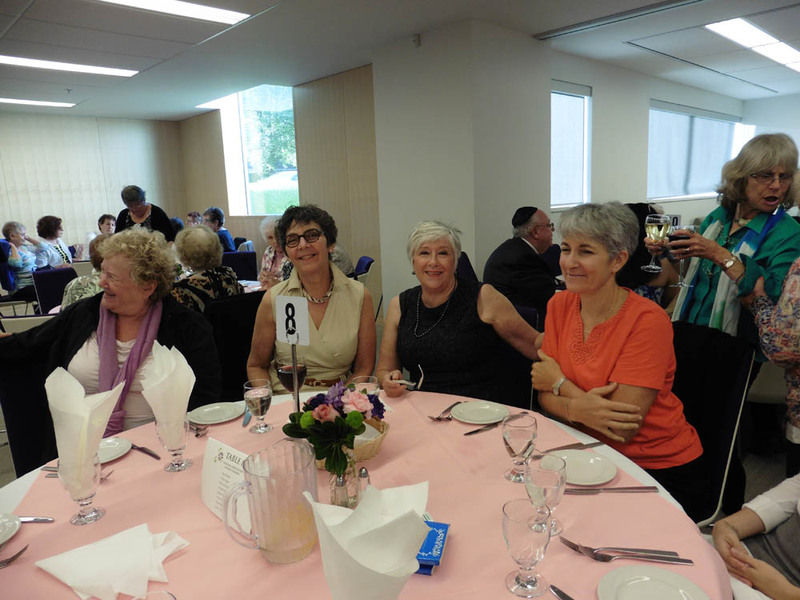 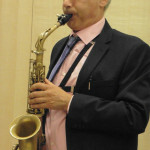 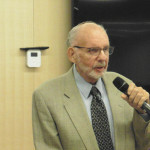 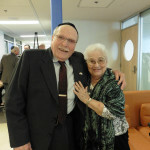 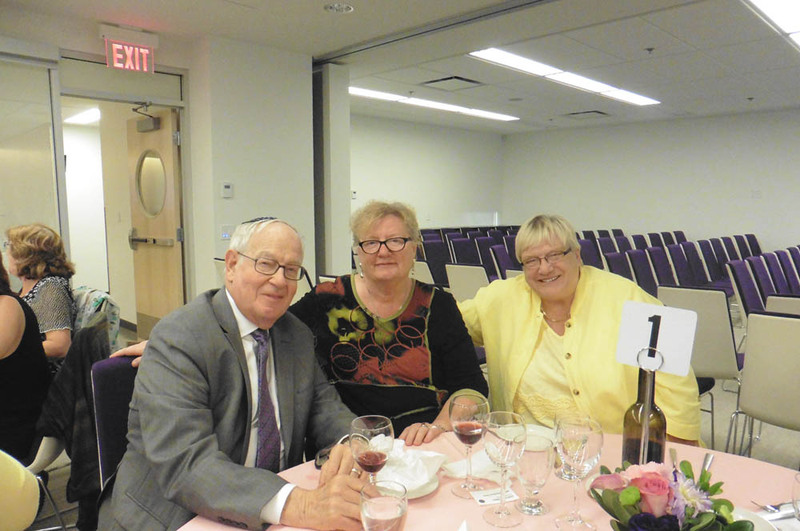 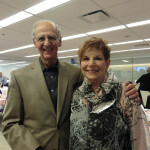 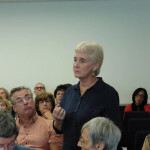 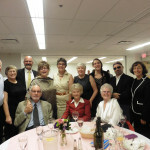 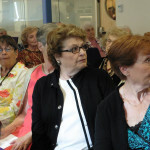 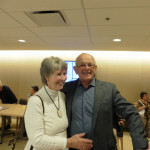 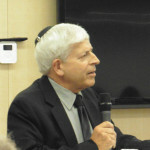 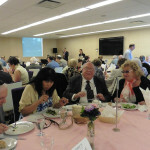 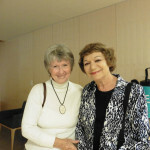 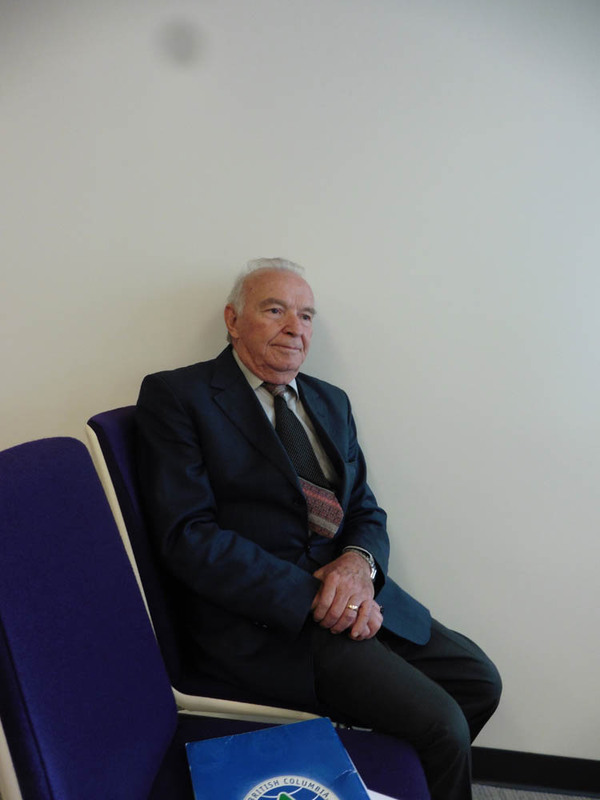 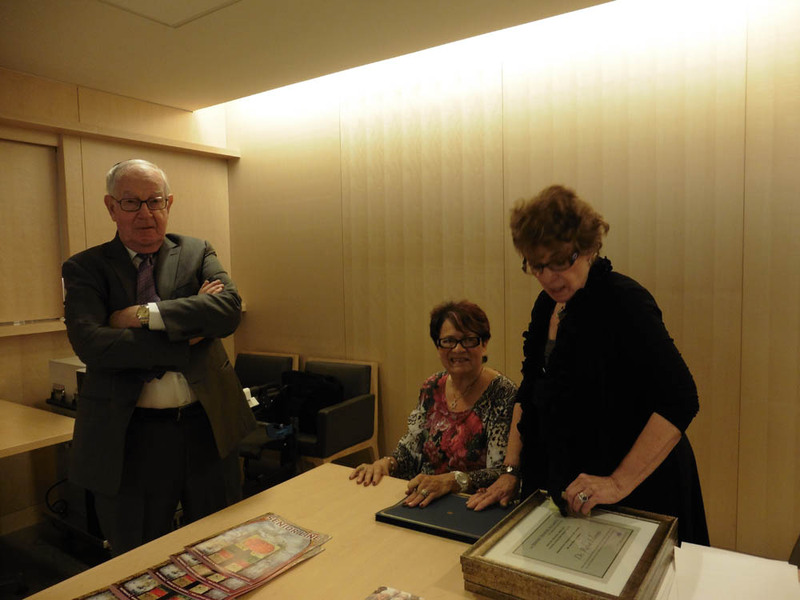 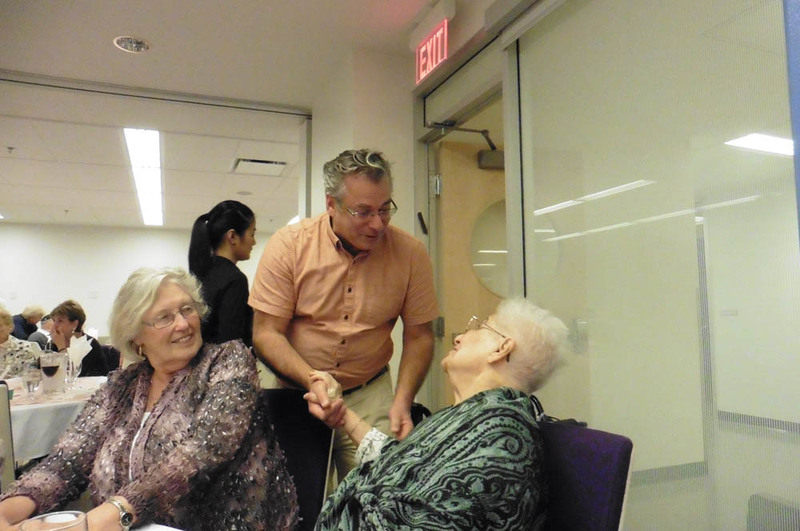 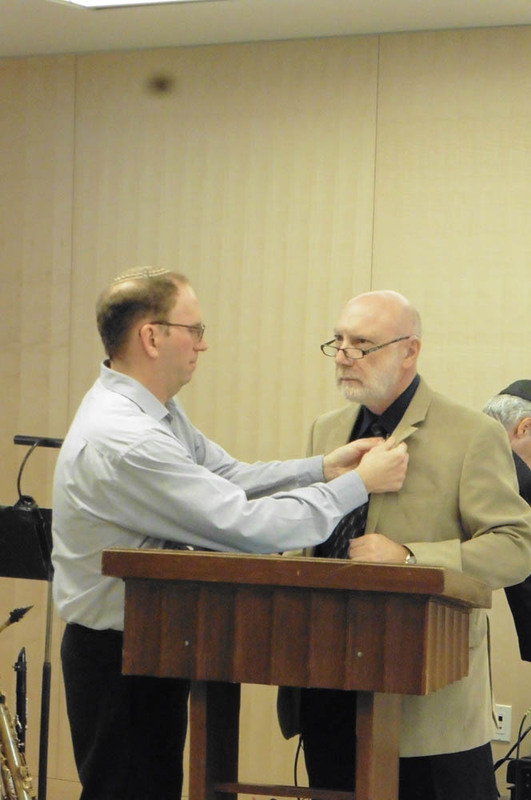 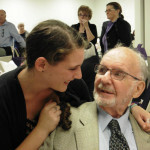 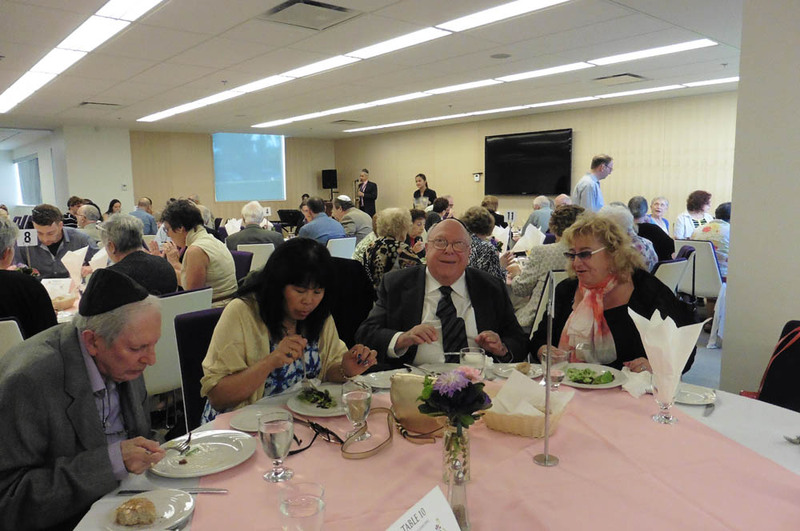 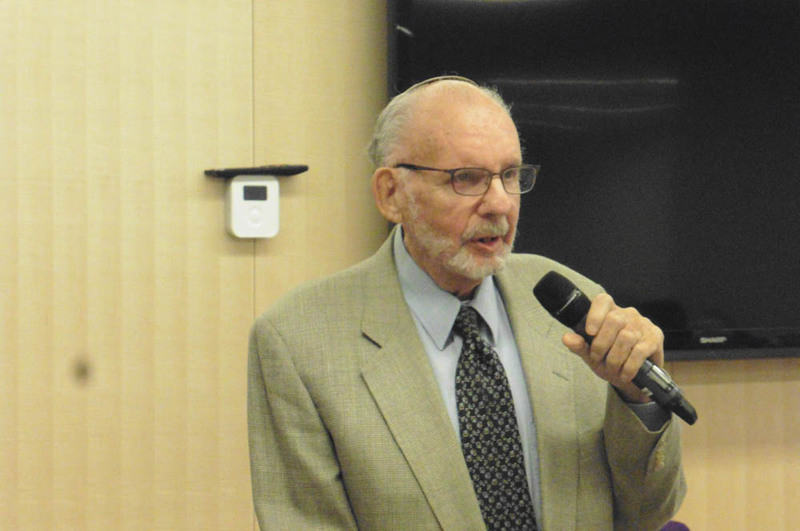 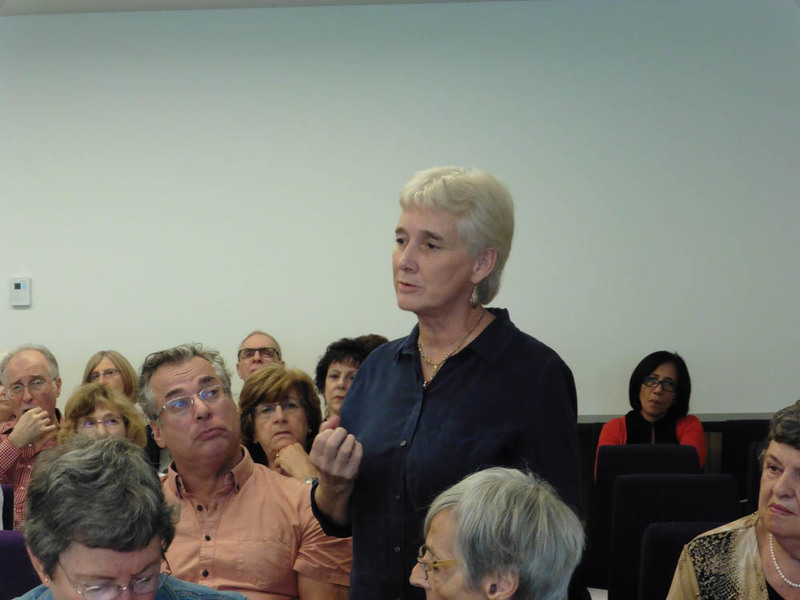 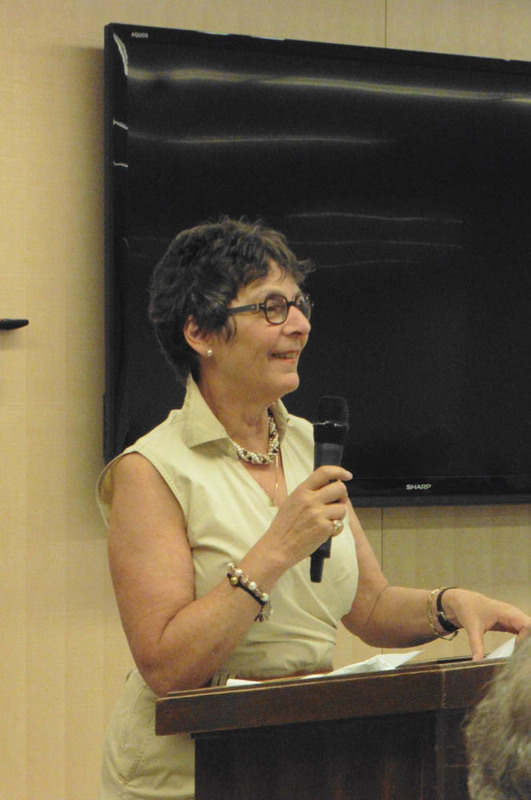 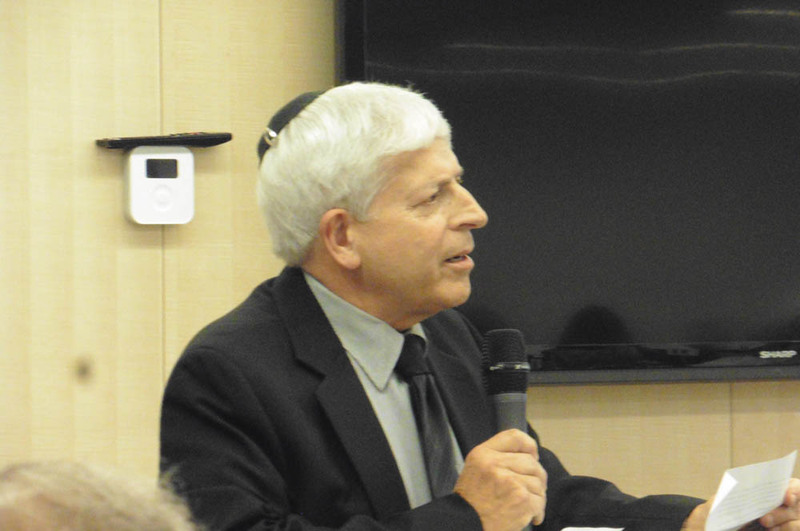 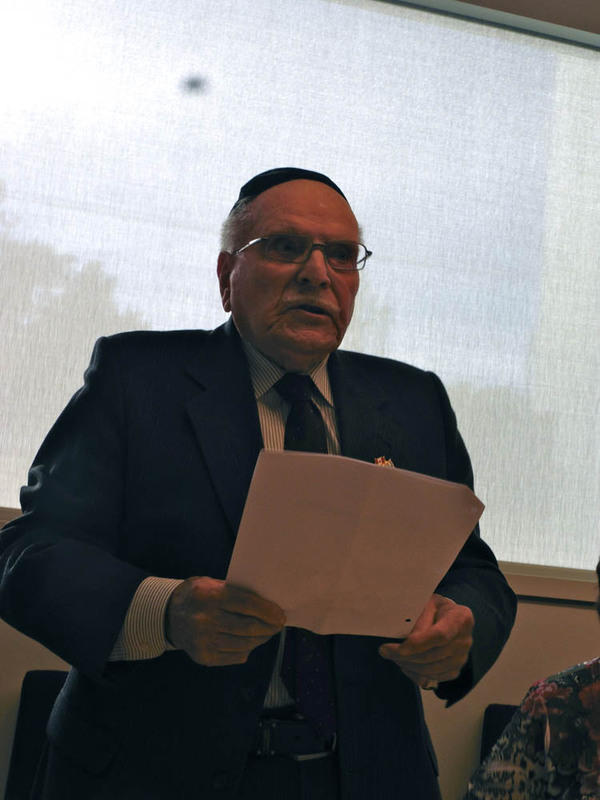 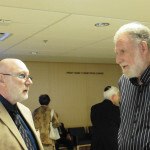 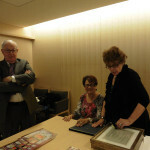 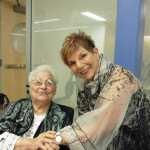 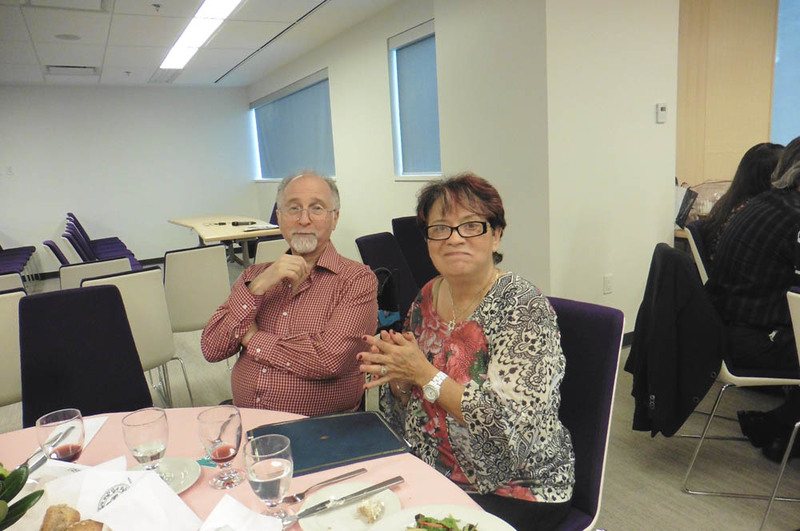 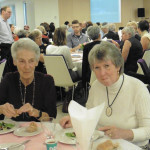 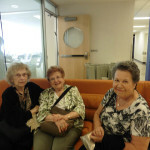 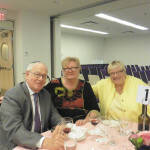 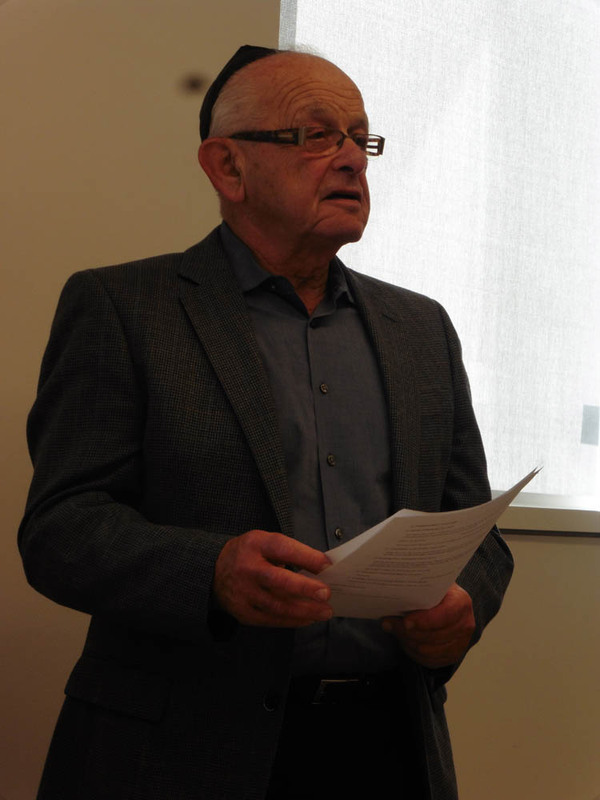 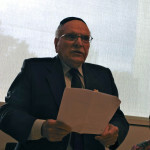 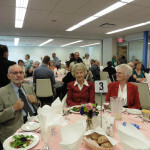 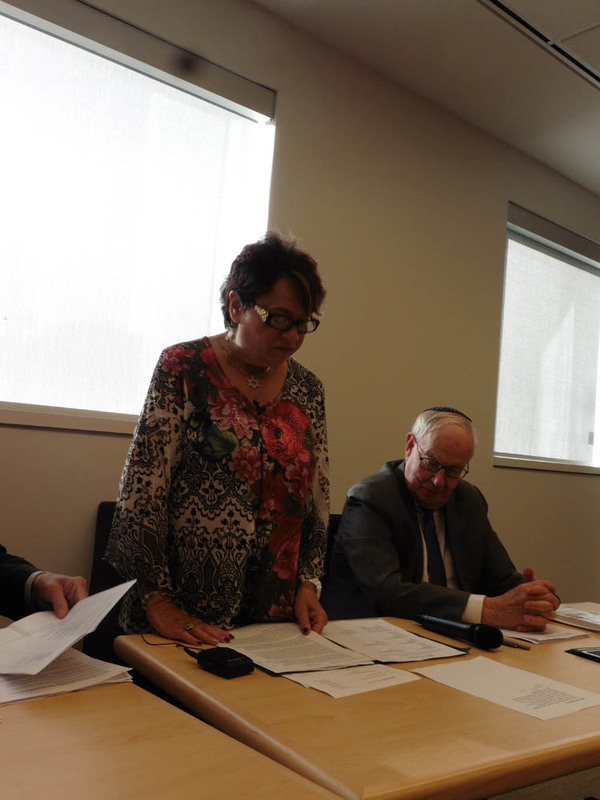 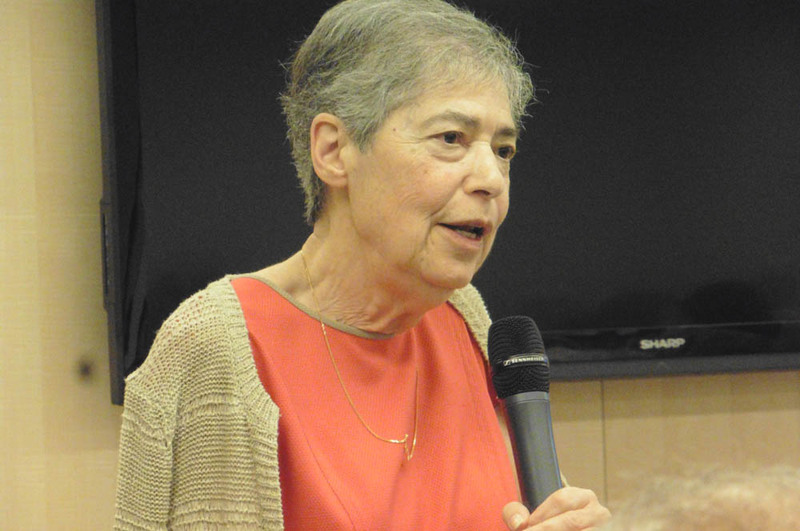 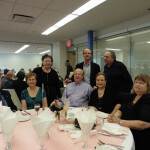 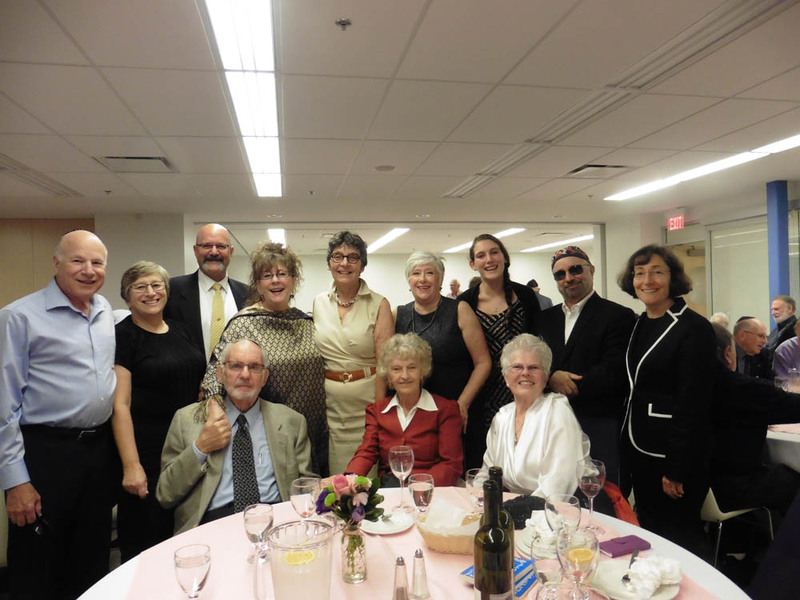 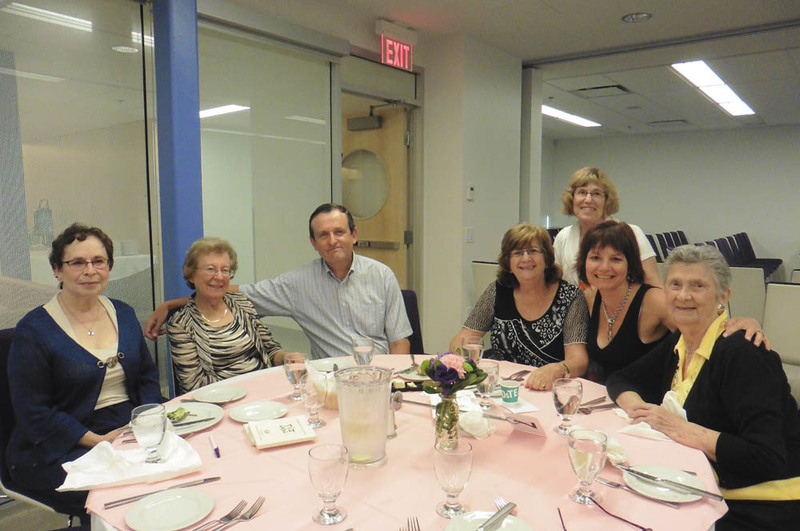 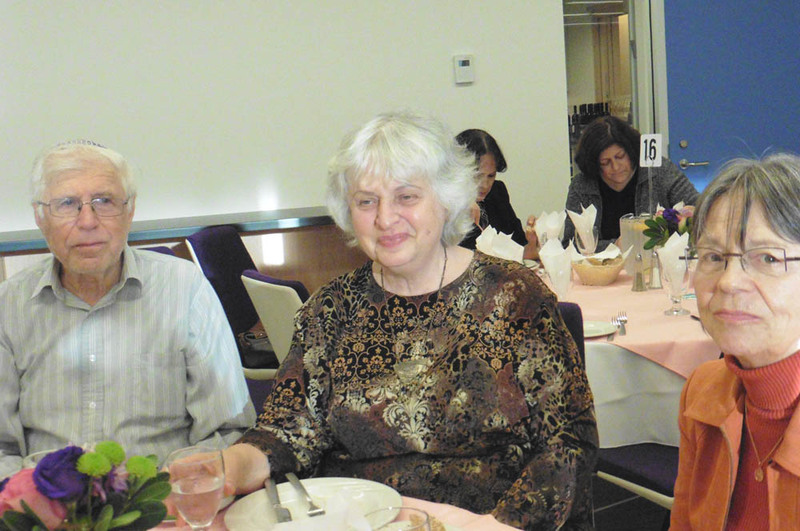 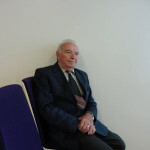 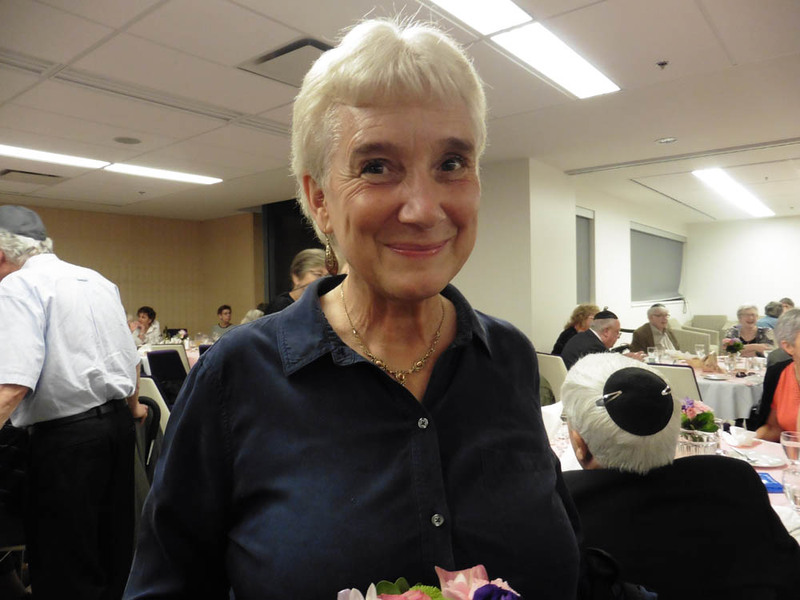 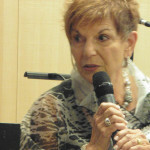 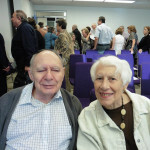 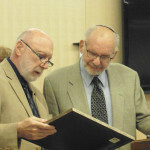 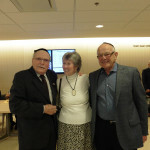 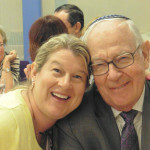 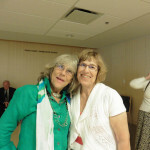 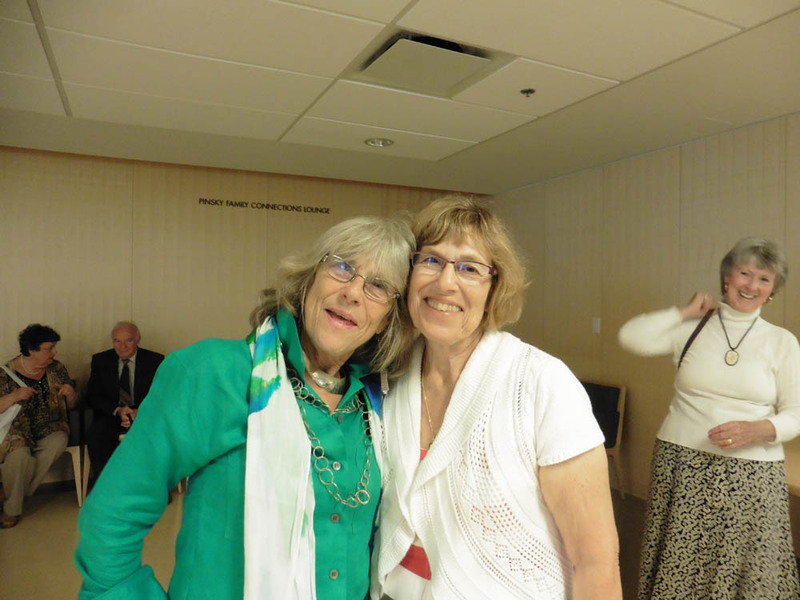 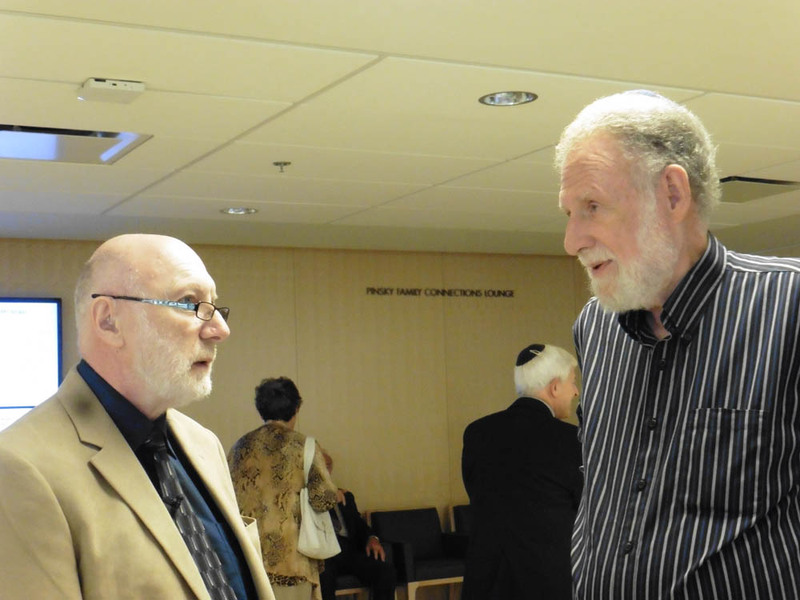 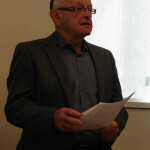 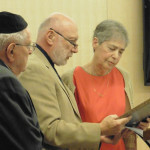 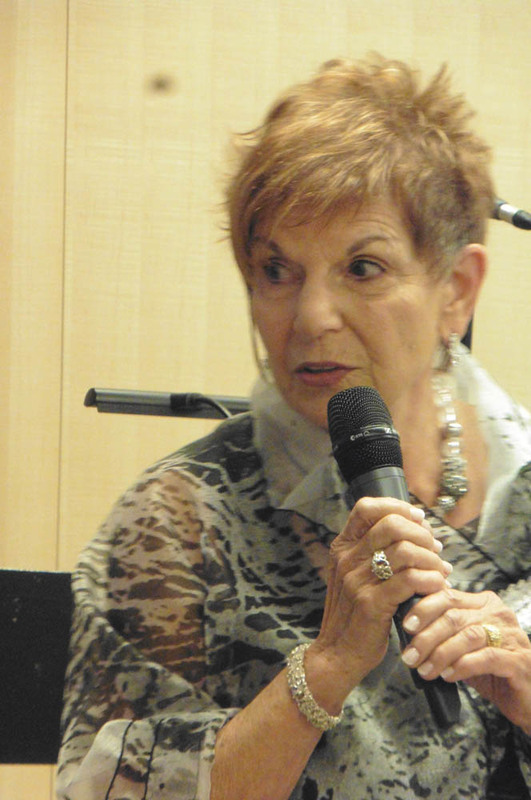 Eppel founded the Jewish Genealogical Institute of British Columbia in 1992 and served as its first president for 8 years, establishing connections with other genealogical societies. 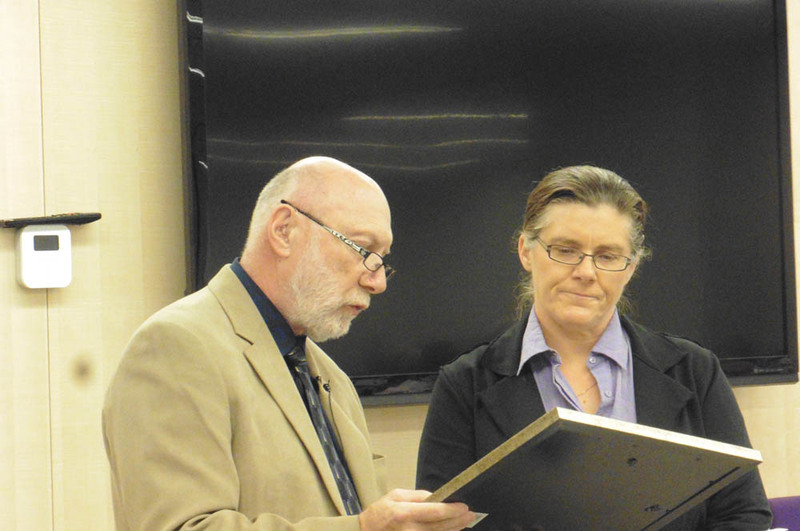 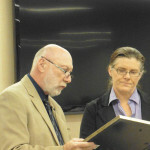 Cynthia Ramsey accepted the certificate In Eppel’s absence. 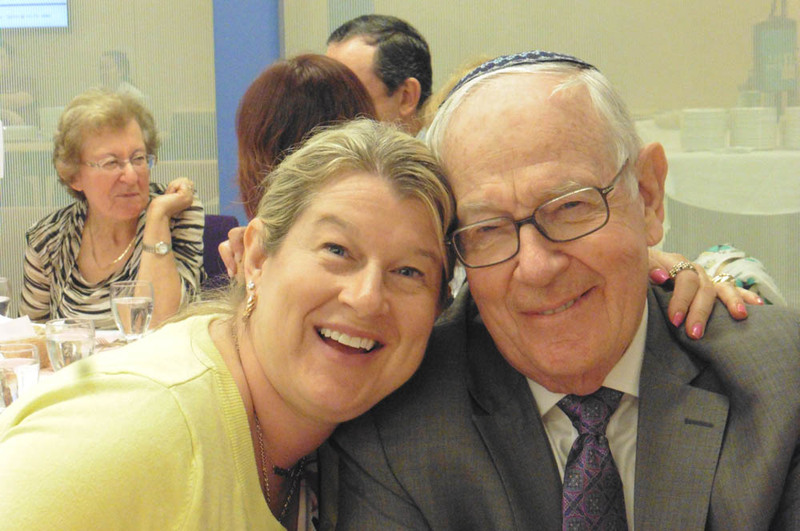 Dr. Rubin Feldman: Annica Carlsson stated that their nominee Dr. Feldman had been involved with L’Chaim Adult Day Care Centre since 2006 when his wife was there and he remained active following her death, becoming President in 2011 until this past August 2015. 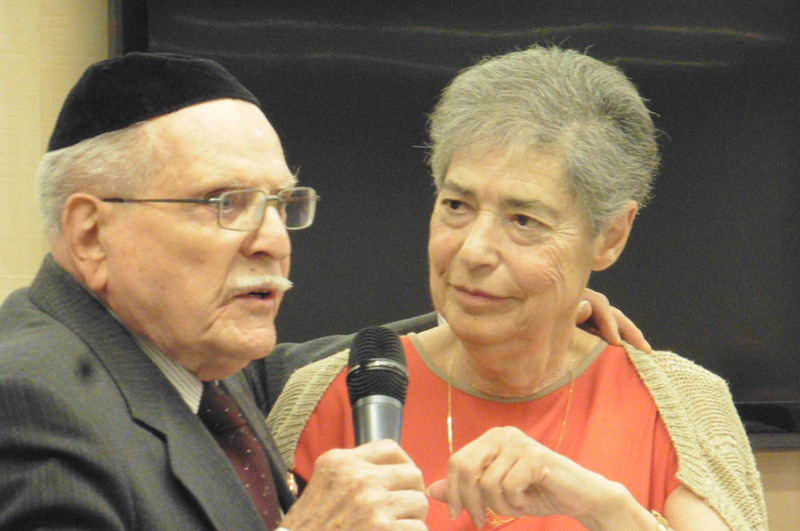 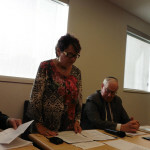 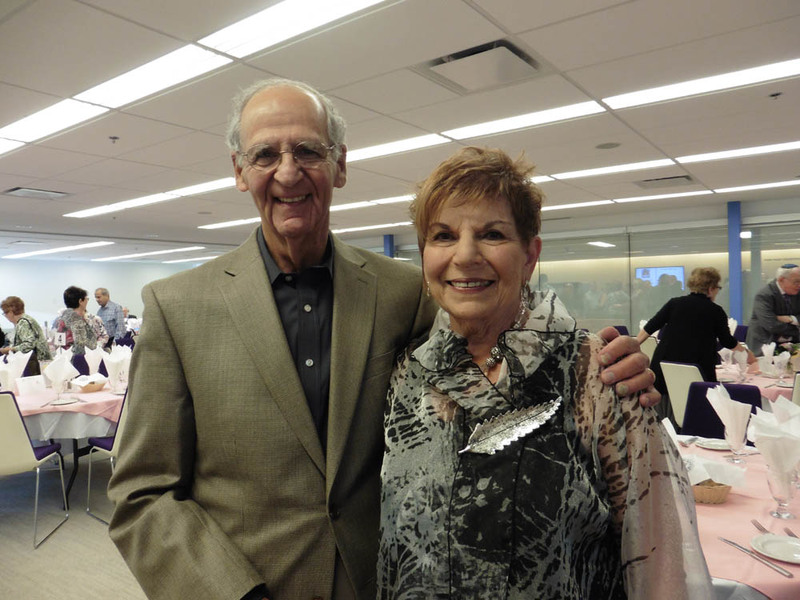 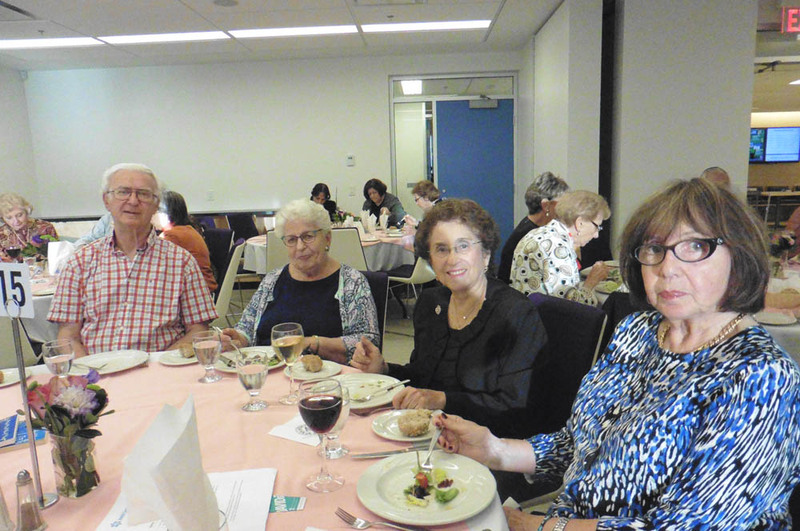 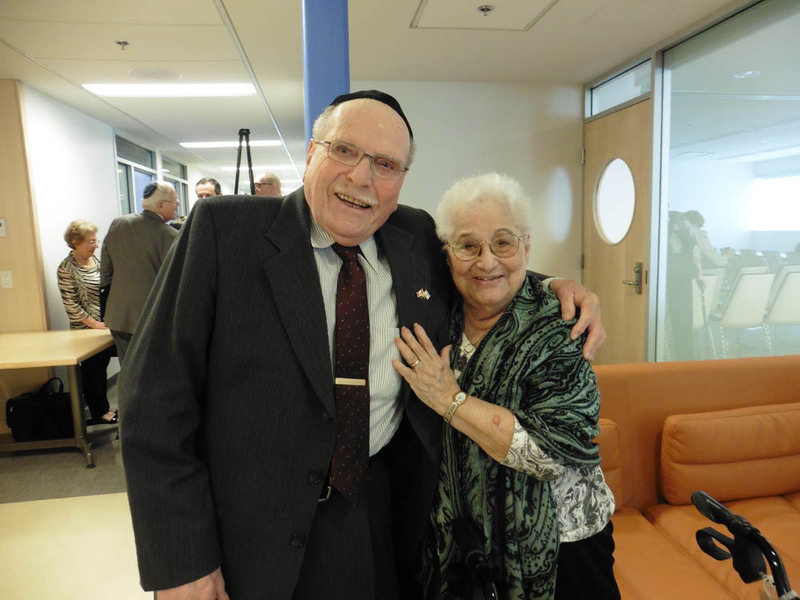 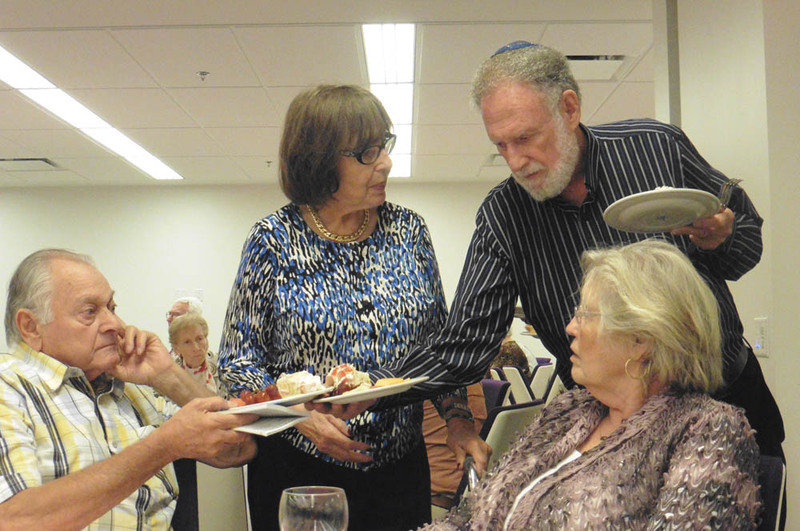 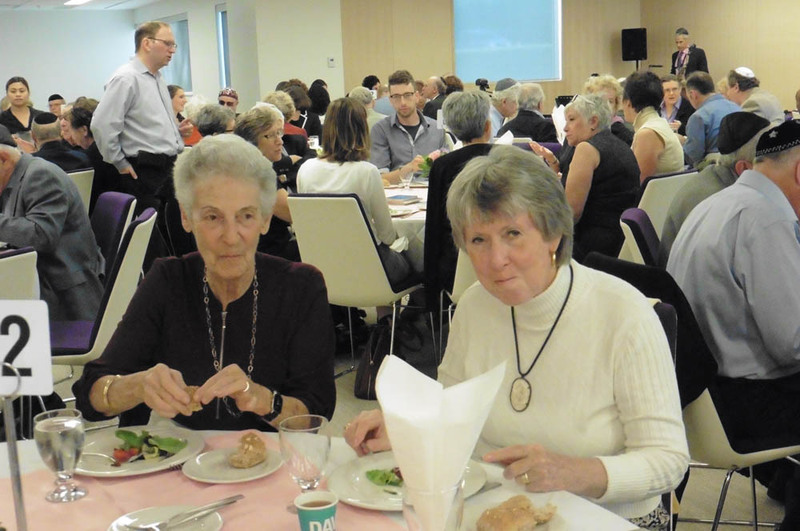 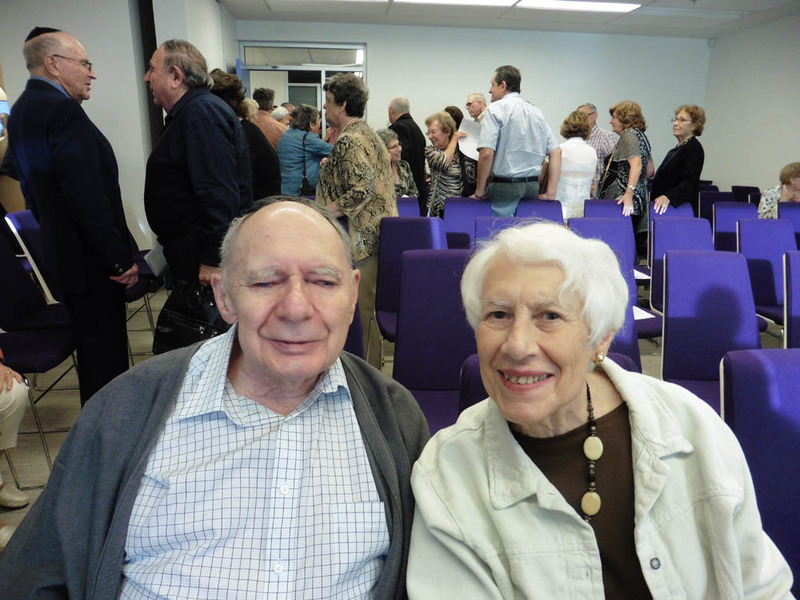 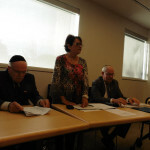 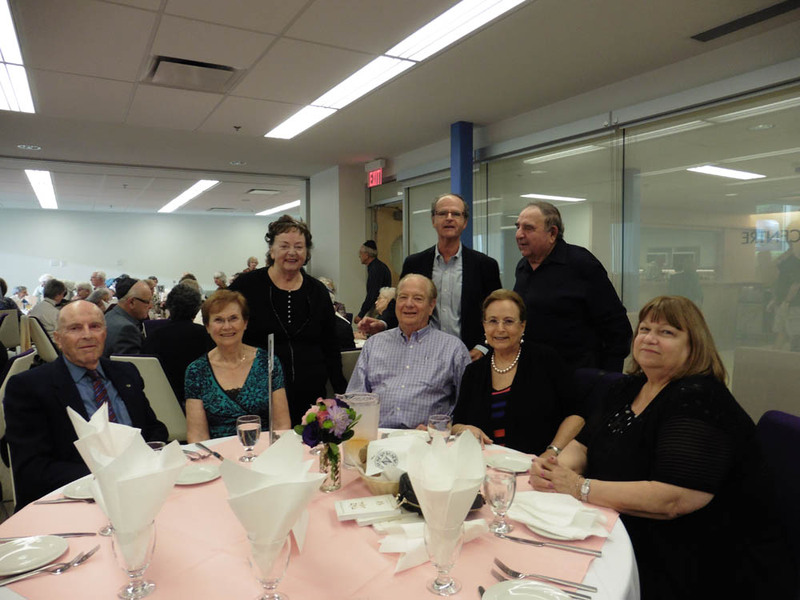 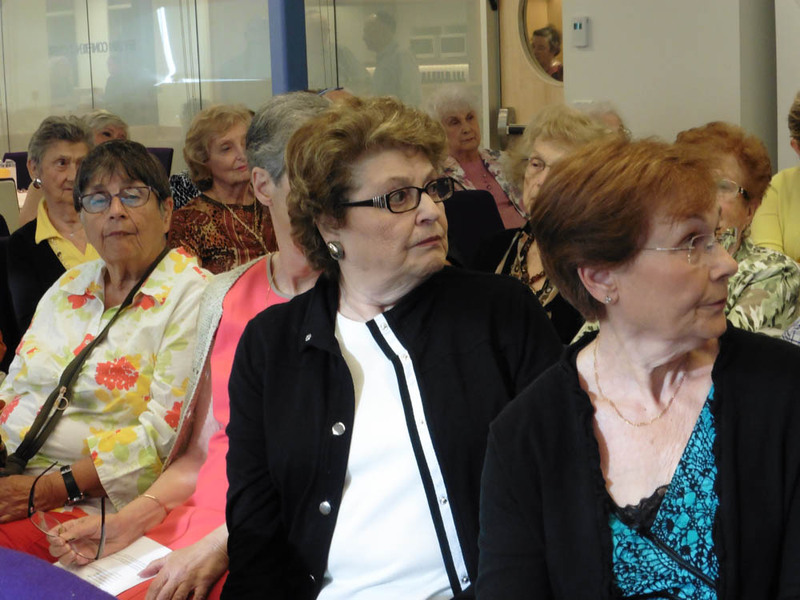 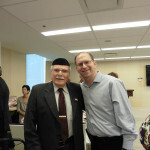 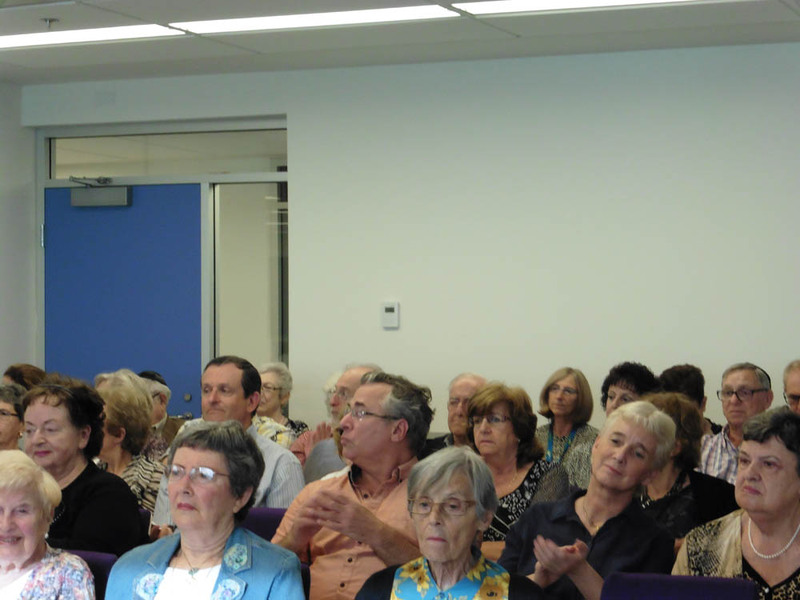 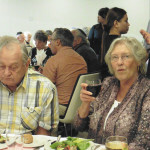 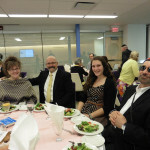 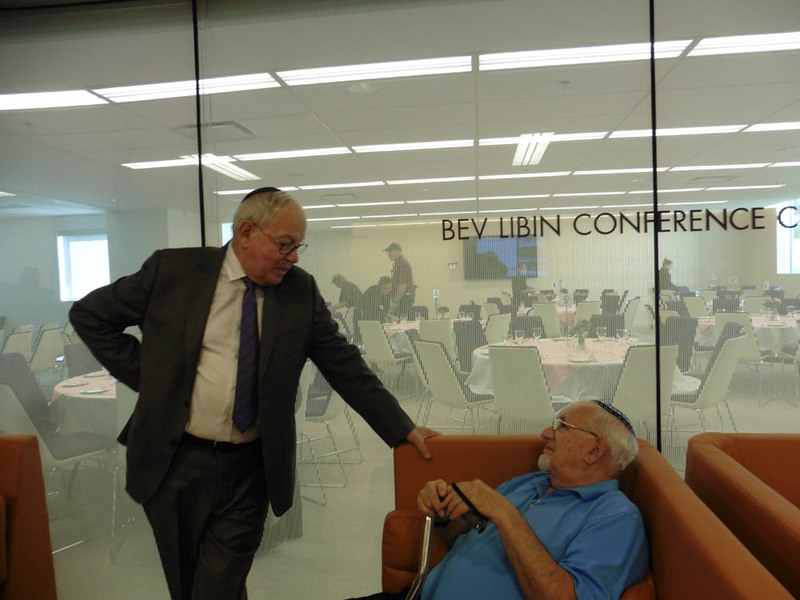 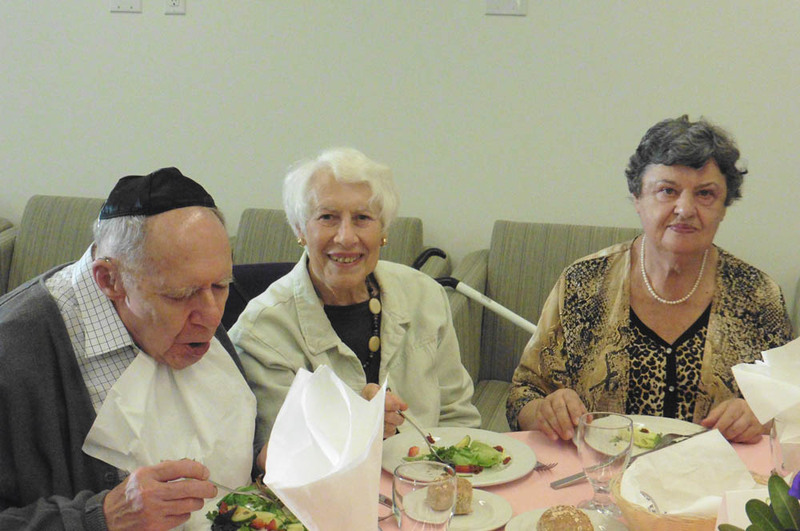 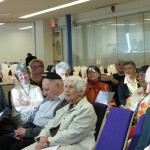 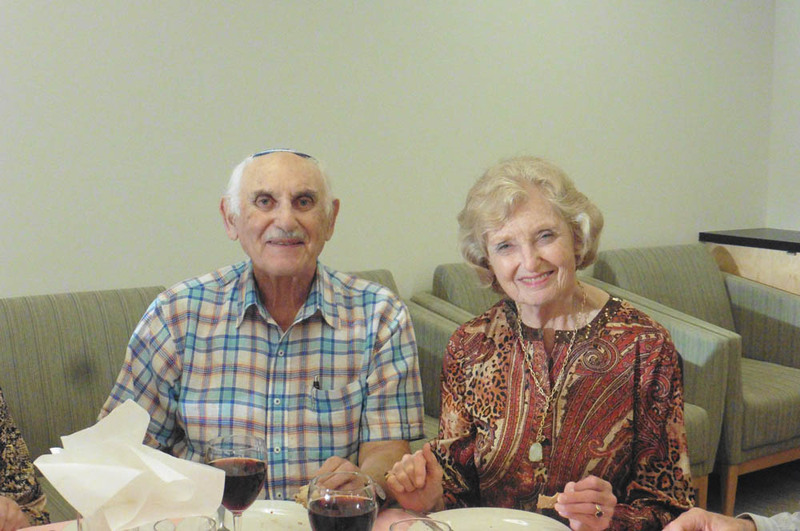 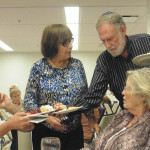 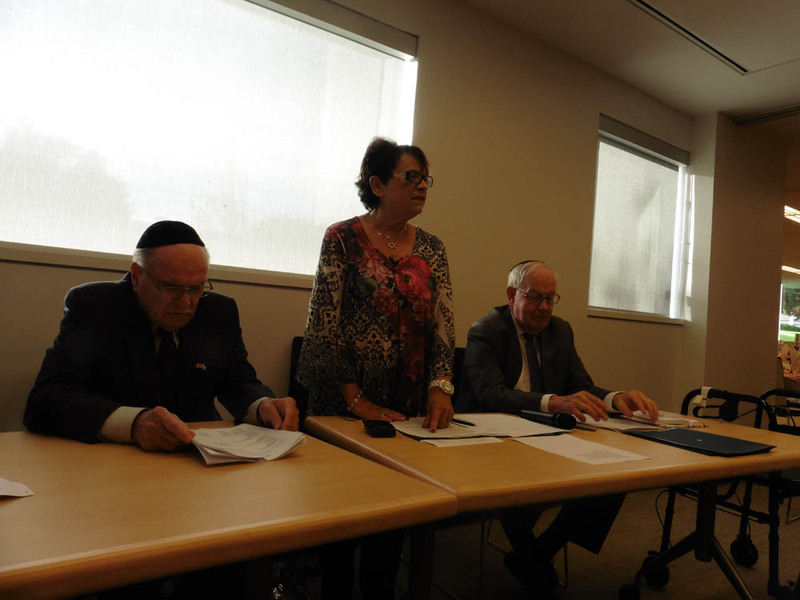 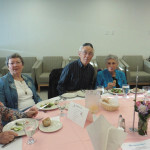 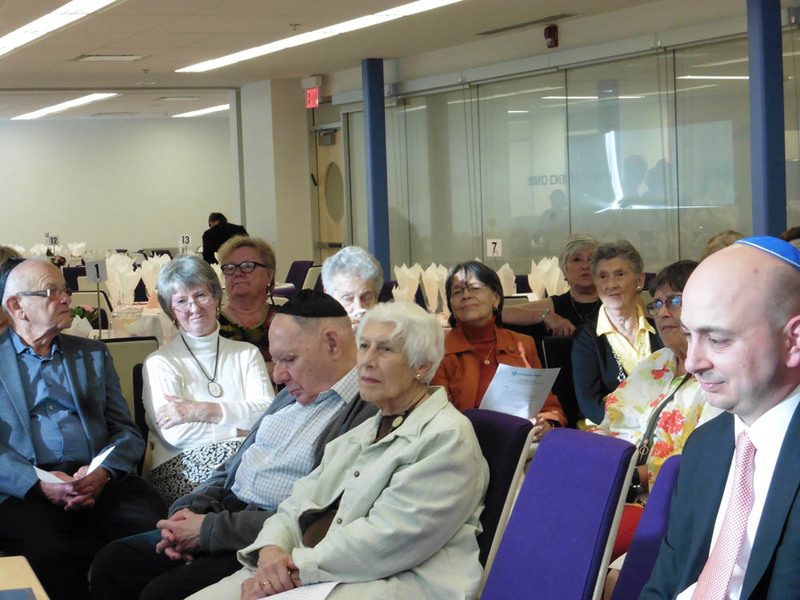 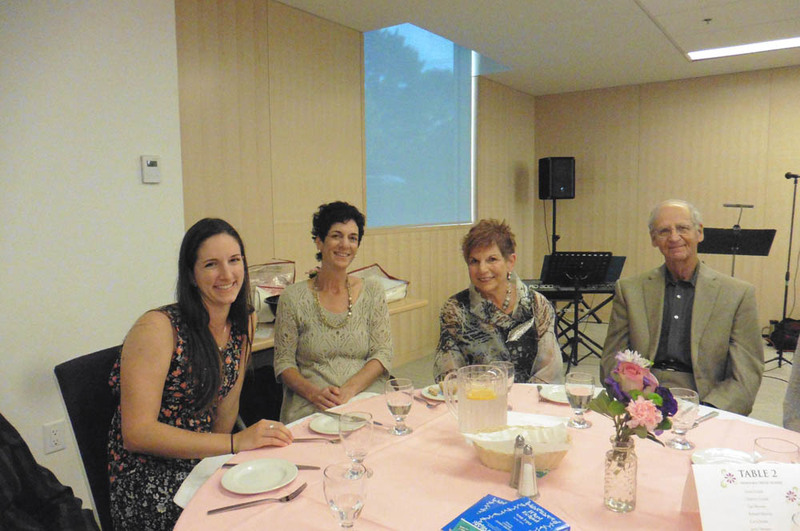 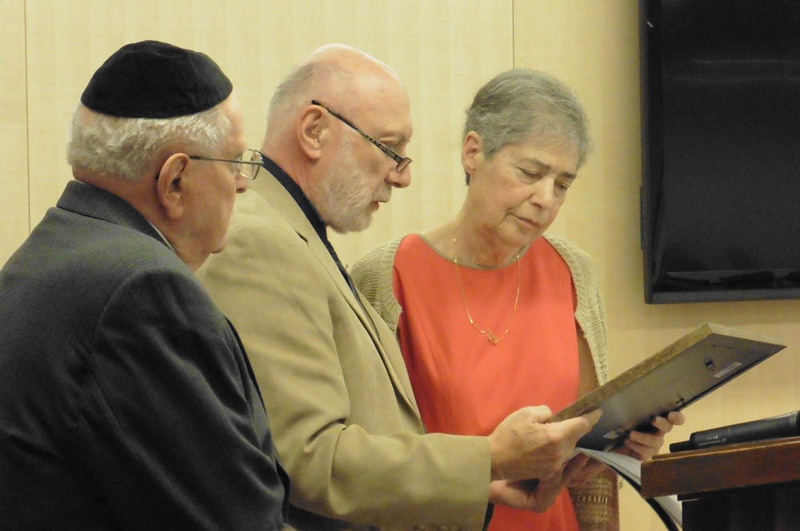 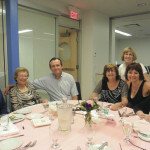 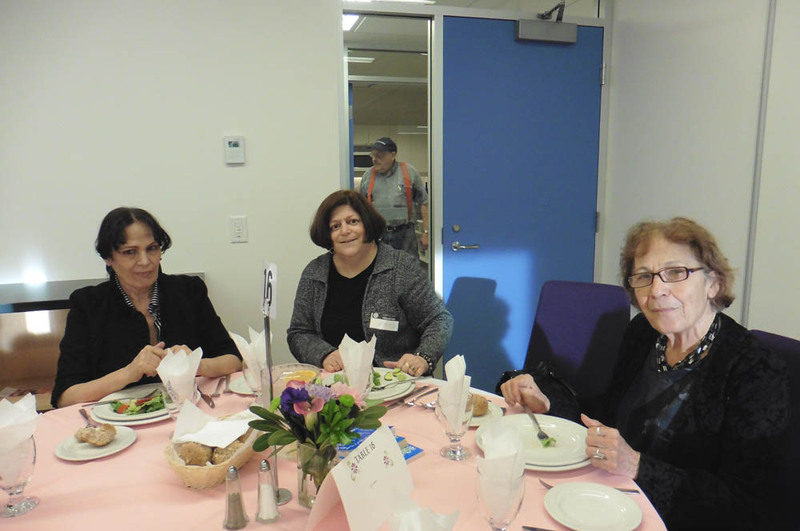 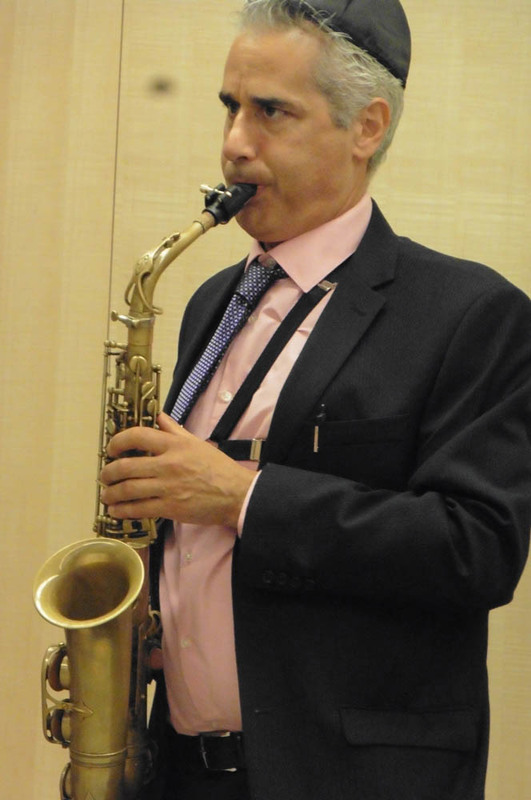 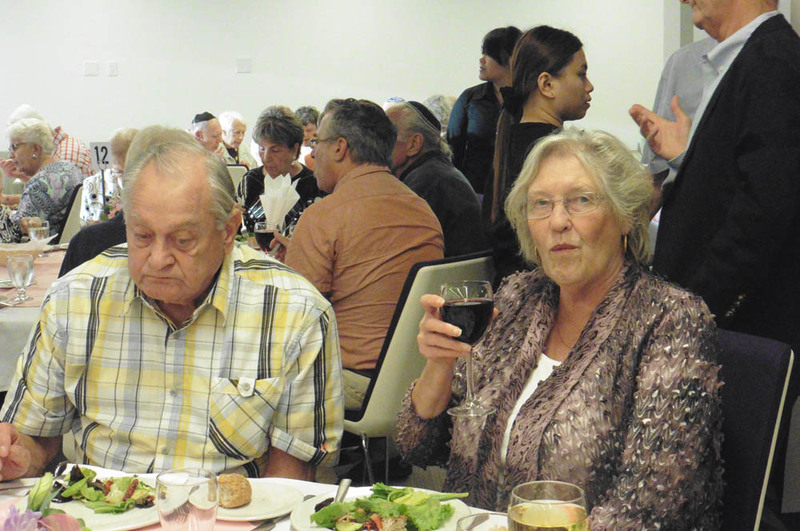 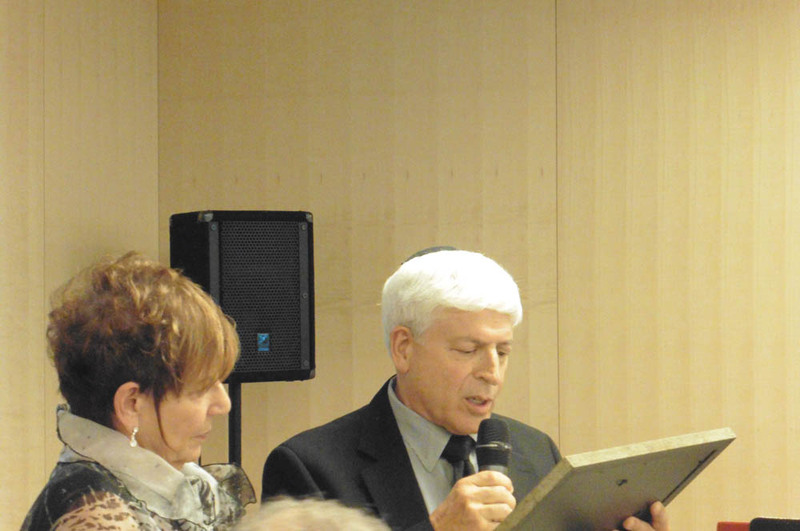 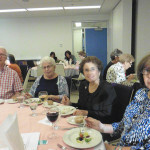 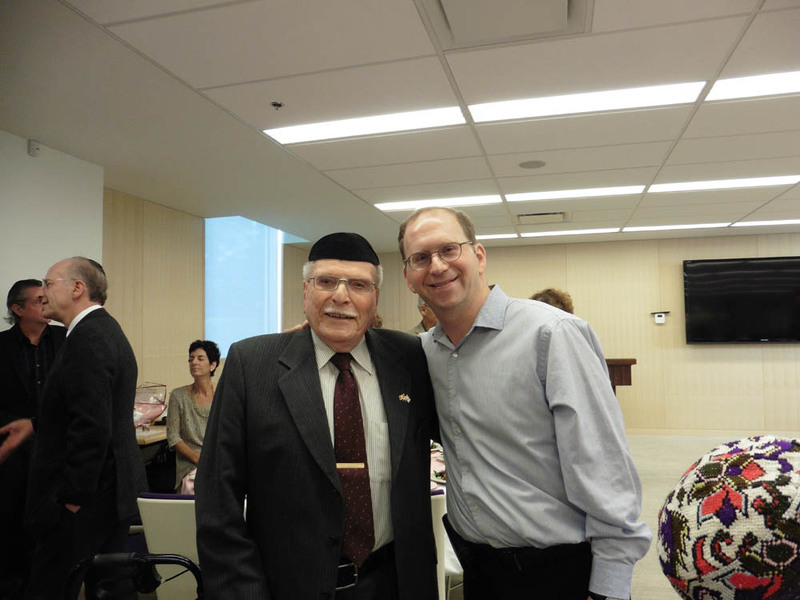 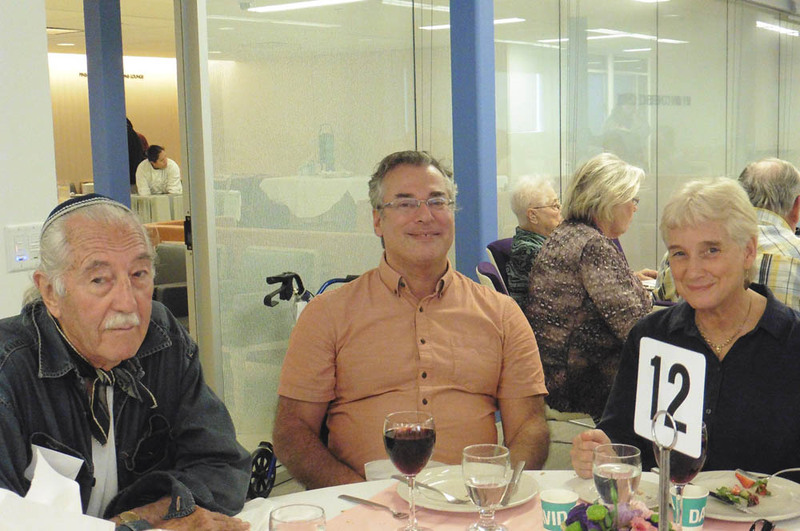 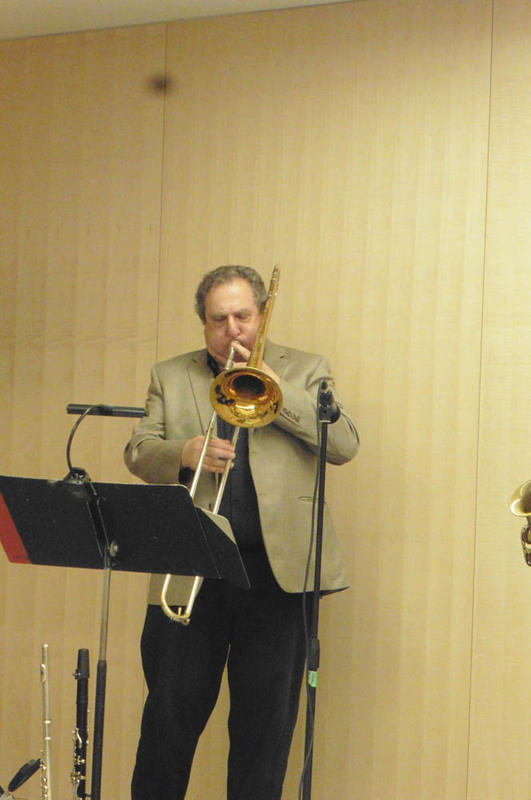 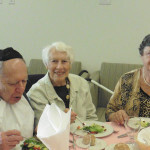 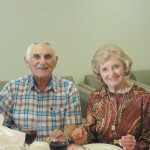 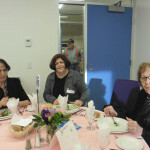 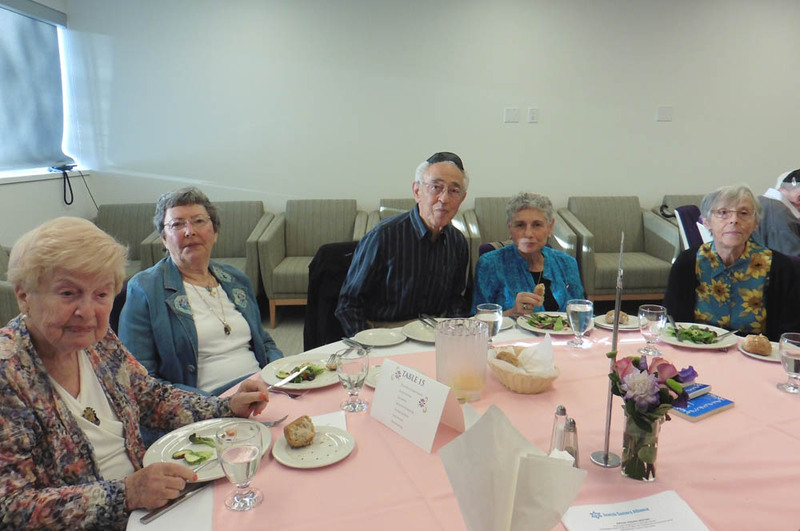 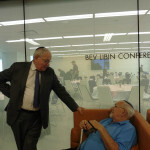 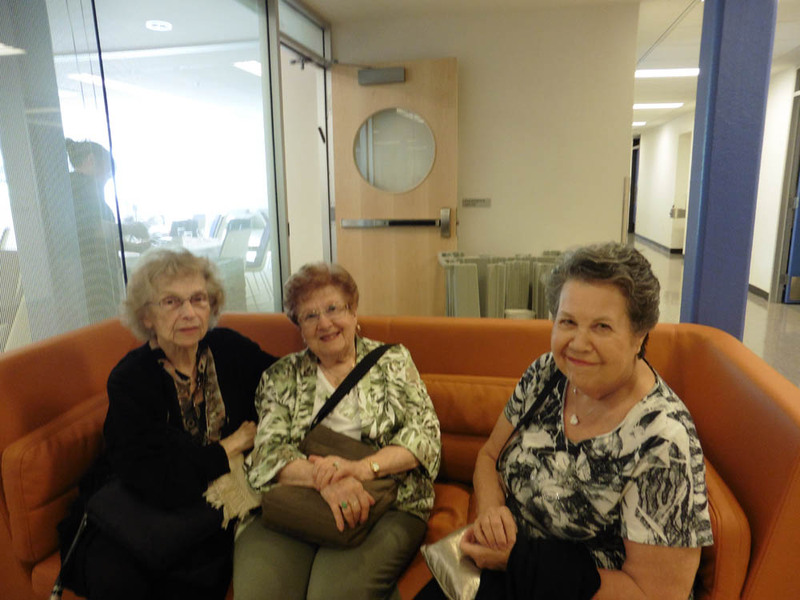 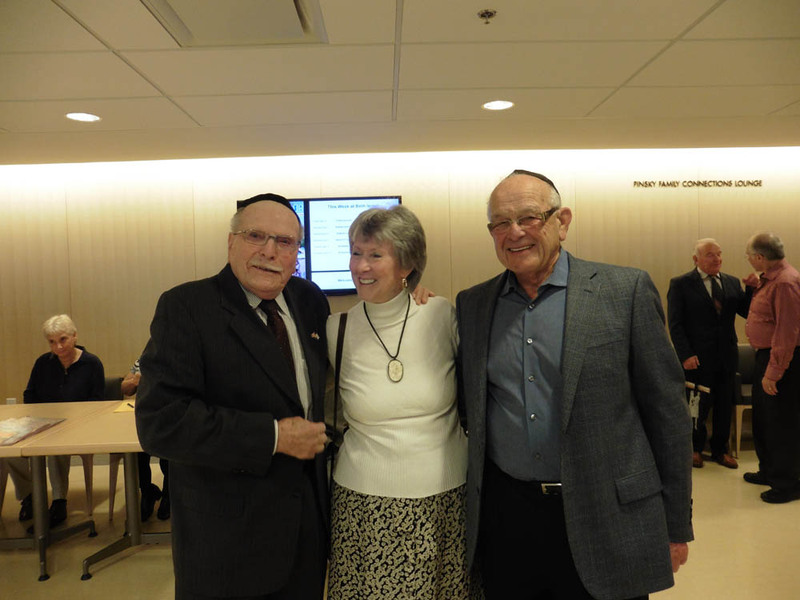 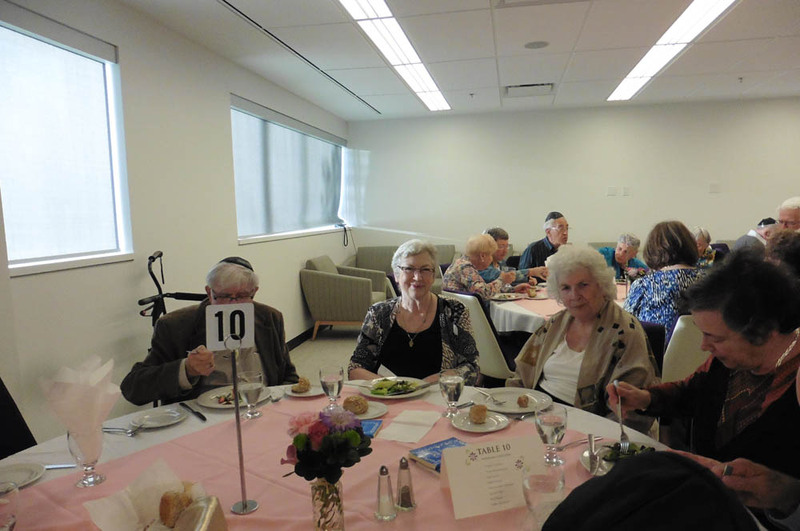 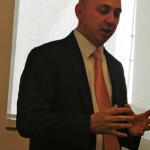 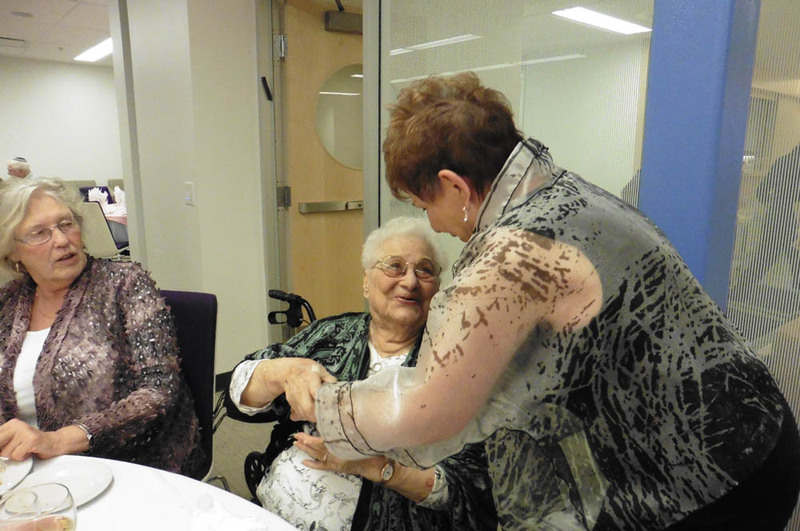 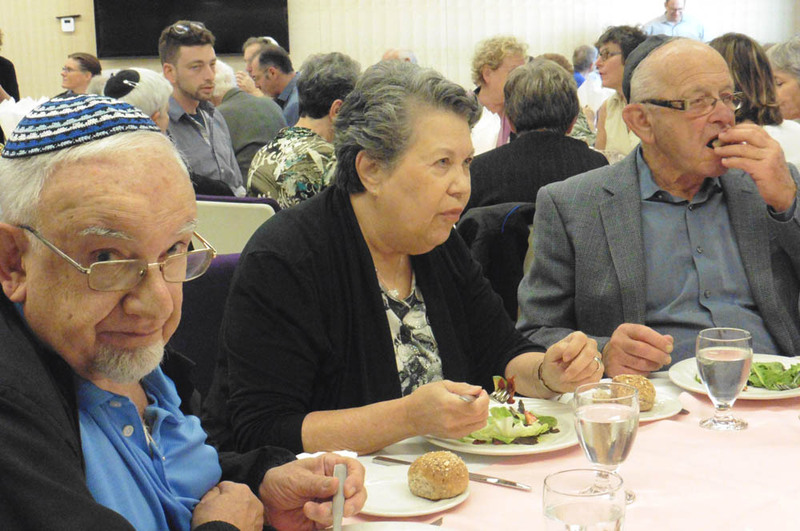 It was at his urging that the 30-year anniversary of L’Chaim became a festive celebration last year, in partnership with Jewish Seniors Alliance. 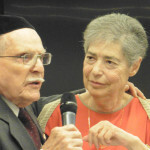 Feldman thanked the JSA as well as L’Chaim for the honour and wished to share a story of a 95- year-old woman who had lost a leg and boldly told him as he entered her room that if he was there to place her in a home, he could turn around and leave; however if he was there to rehabilitate her and teach her how to walk he was welcome. 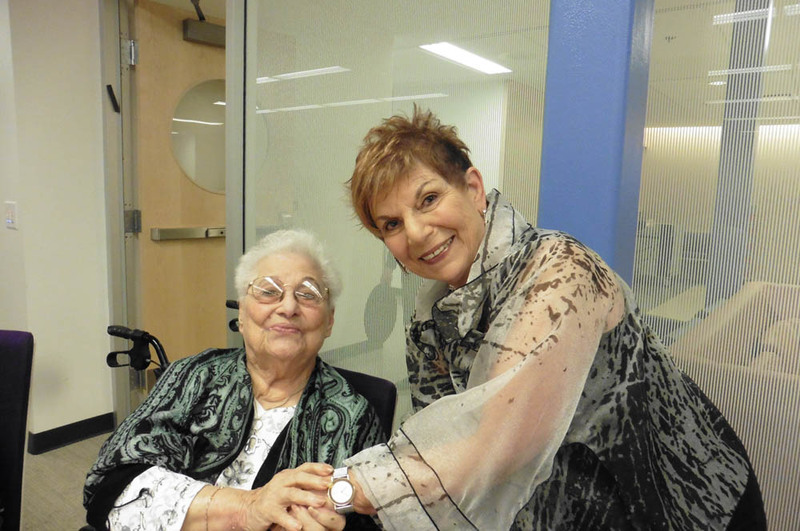 With sheer determination and hard work, she walked out on both legs when she left the hospital. 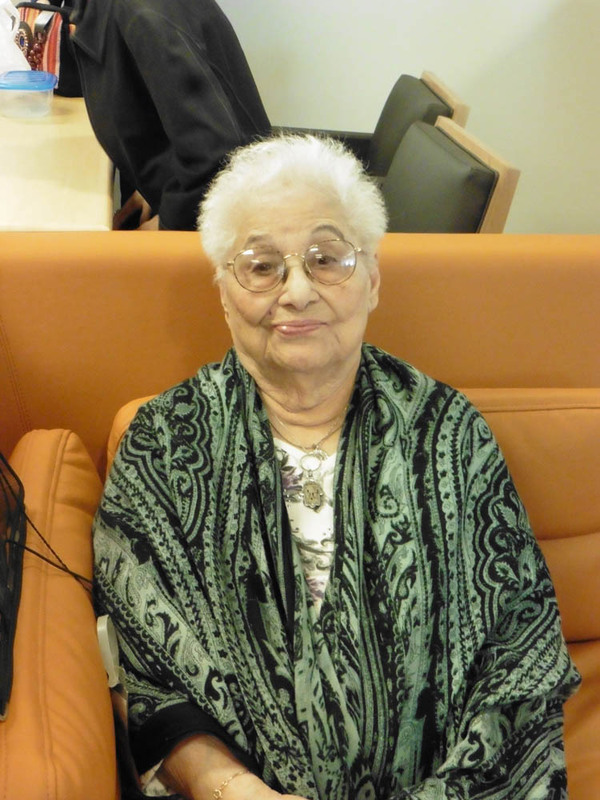 It was difficult to decipher which leg she had been born with. 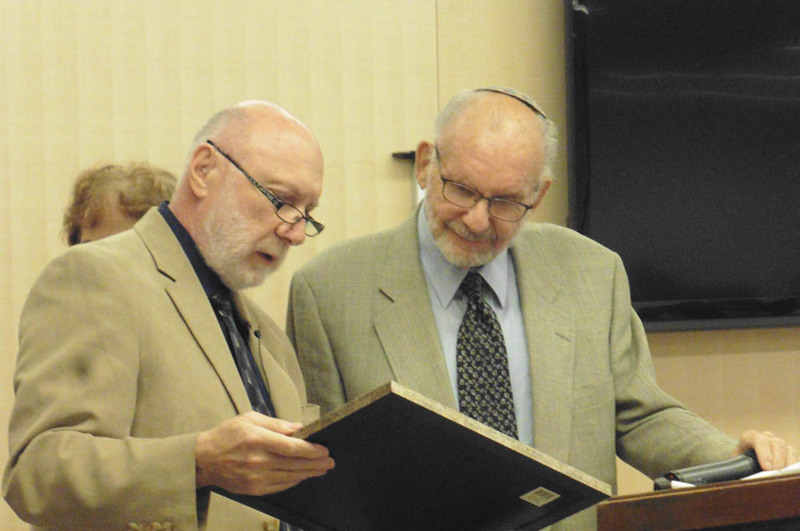 Feldman said he told this story to illustrate that we have to dig deep sometimes to find the strength to turn things around. 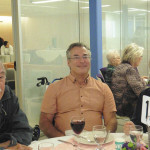 He, too, has had to face a challenge this year, learning to walk again after a serious illness. 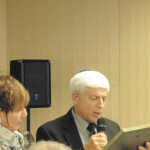 Shanie Levin: Shanie Levin was nominated by our JSA and introduced by President Emeritus, Serge Haber. 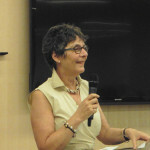 Levin has been actively involved in the JSA, serving in many capacities from secretary to chair of JSA Empowerment Series. 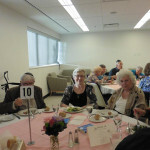 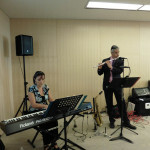 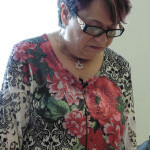 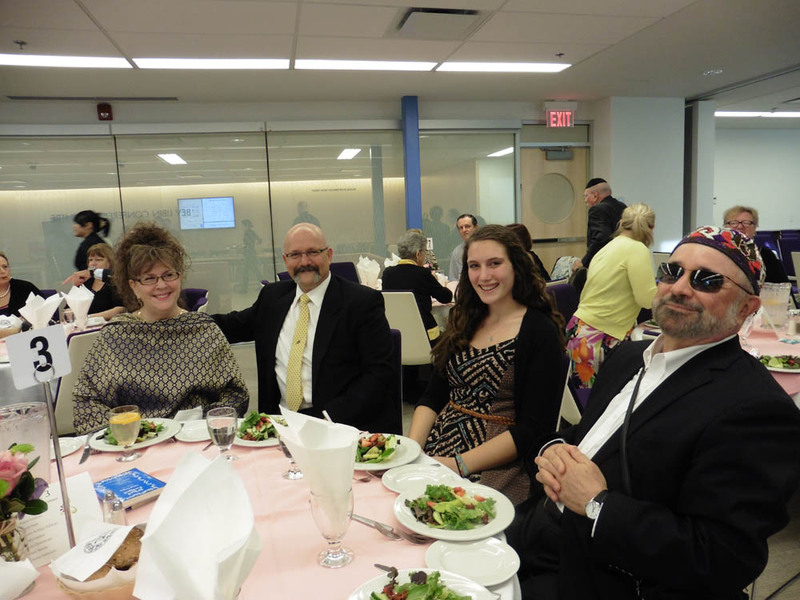 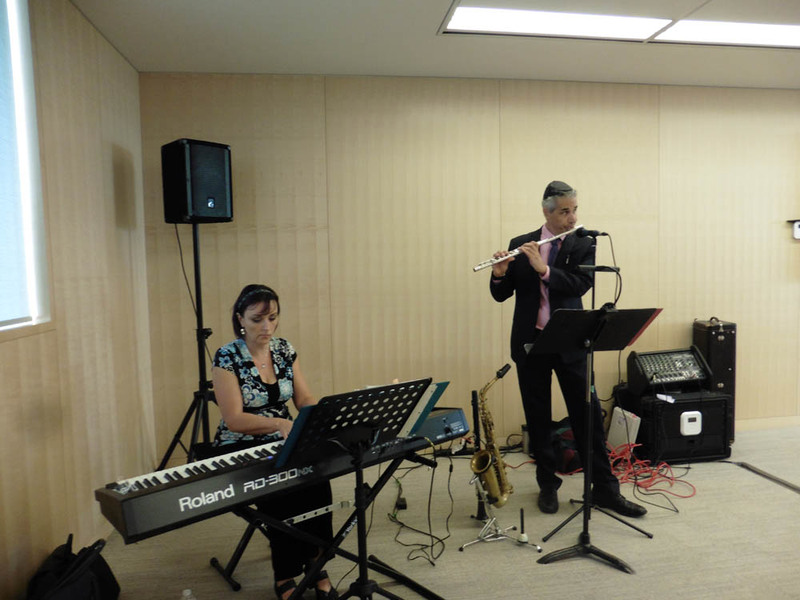 Shanie has accomplished this while staying involved singing with the choir at Peretz Centre and reading stories about Yiddish Literature at the Isaac Waldman Library among many other activities. 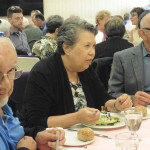 Although this year, she too had to dig deep to triumph over an illness and has only quite recently returned to full capacity, again able to fulfill her many duties. 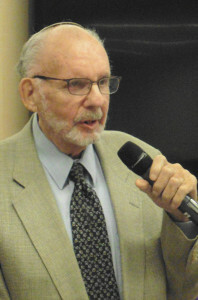 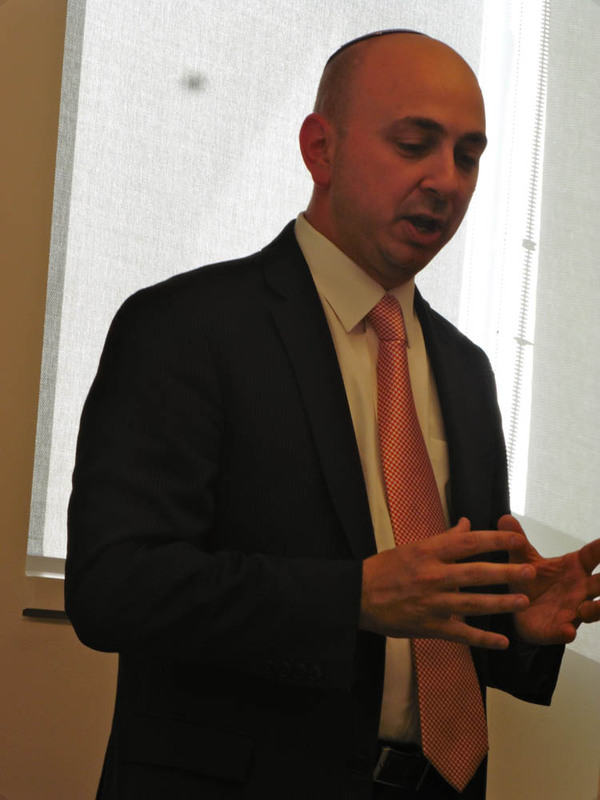 Levin thanked the JSA and urged everyone to become involved as it is gratifying and satisfying to both the giver and the recipient. 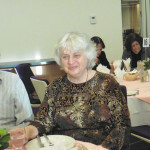 STEP 1 – Hover over large image, lick the right arrow to scroll through the images. 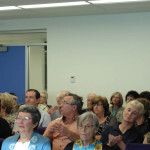 OPTIONAL – Press play to start slideshow. 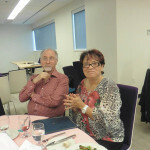 Or, press the magnifying glass to enter full screen view (press esc. 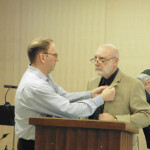 key to exit).